The new Hedevu power project outside Port Moresby will give power the homes of thousands of people along the Hiritano Highway. 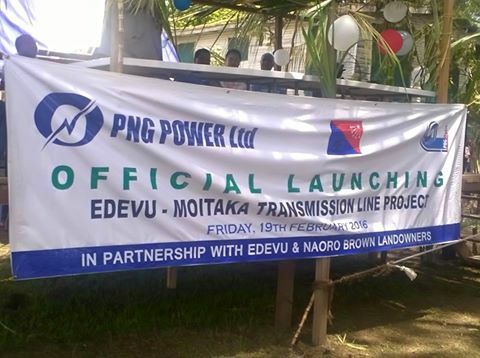 This is the reason why the clan representative marking the Heduvu people Mr. Tony Newton, appeals to the clans from Laloki down towards Hedevu to support the project by giving access to transmission lines passing through their areas to the city. The benefits are many, including lights in schools, aid posts and trade stores and this mean better learning, better health care services and good business. Meantime, Kairuku Hiri MP Peter Isoaimo, told his people that it’s time to make use of their land for good developments such as this to benefit them in the long run instead of just sell off their lands to people.